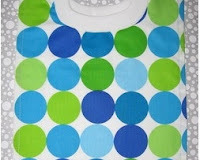 Adorable personalized, designer blankets and accessories for babies and there is great new stuff for their Mommies too. You can also DESIGN YOUR OWN blanket with designer fabrics in stock. Did you know "Mummi" means Grandma is Finnish? It all started when Eeva the owner/designer of Mummi Quilts created a quilt for each of her own grandchildren. From there friends and family ordered their own quilts and Eeva was inspired to re-start her sewing on a larger scale. Mummi designs are unique and practical everyday baby items and luxurious baby gifts. They are personalized, adorable and designer! What more could a Mom or Mom to be ask for? 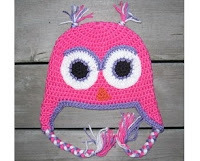 Eeva from Mummi Quilts is always coming up with adorable new offerings like this adorable Crochet Owl Beanie! 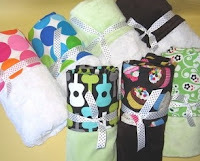 If you've got a new Mom in your life, check out Mummi Quilts, you will be so glad you did! She's got diaper bags, totes and she is adding stuff to her store all the time.